The WORCESTER PARK Blog :: Can I Borrow Some Coffee? 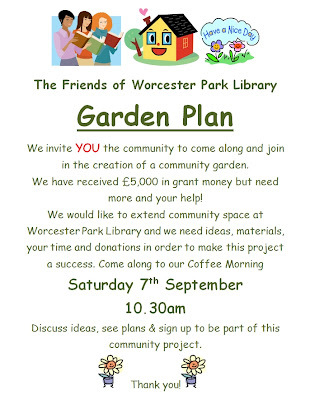 The Friends of Worcester Park Library are trying to raise money towards their Garden Plan. 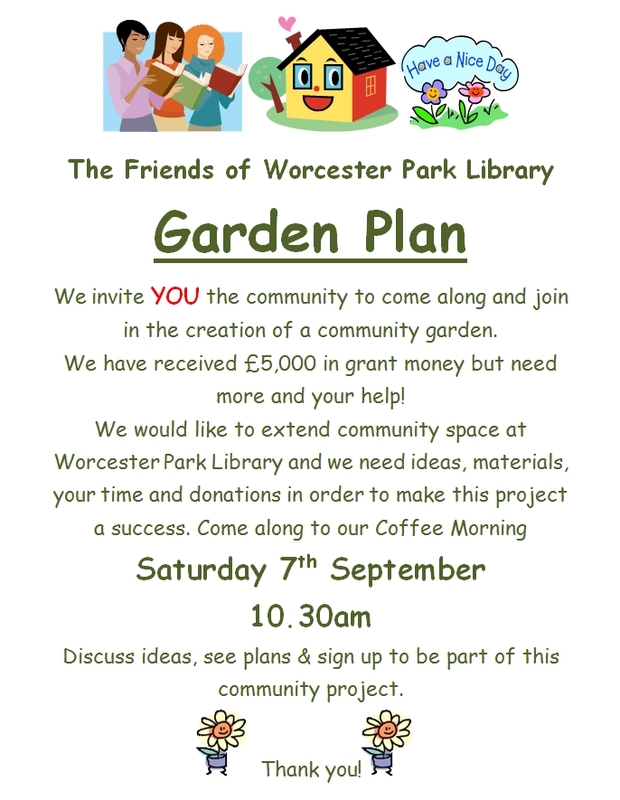 As part of this they are holding a coffee morning next Saturday (7th September) at the library to help raise more funds and gather ideas and resources to help make the plan a reality. The friends won £5,000 towards this from Sutton Council in May’s Participatory Budgeting event. Jackie, who chairs the group told the blog that they have since applied for a £20,000 grant from the Mayor's Office and should hear next month if they have been successful or not. The manager at Waitrose has also apparently been great and will happily donate to the project once it gets going and if everything is legally put in place. However, the group still needs help and have decided to put the idea out to the public and see who would like to get involved in this community project, whether it is by giving their time, ideas, materials and even donations. In the meanwhile you can just support them by going along and having a coffee. It all begins at 10:30am and Jackie and the other friends would be delighted to see you!